The official title is granted by the International Dark Sky Association (IDA). According to the association’s own website, the status denotes either a public or private area of land deemed to possess “an exceptional or distinguished quality of starry nights and nocturnal environment that is specifically protected for its scientific, natural, educational, cultural, heritage and/or public enjoyment”. The Cévennes National Park is a 2,973 square km area across the Lozère, Gard, Ardèche and Aveyron. It is only the second area of France to be granted Dark Sky status, after the Pic du Midi in the Hautes-Pyrénées. An area must apply online to be considered for the title. It must satisfy the IDA’s requirements to be successful - with this status taking four years of work. International Dark Sky Reserves seek to protect areas from encroaching light pollution, and protect the natural environment of dark spaces. A nighttime party in honour of the Park’s new status was held on Monday (August 13). A new photograph book showing the beauty of the space is also planned for release. 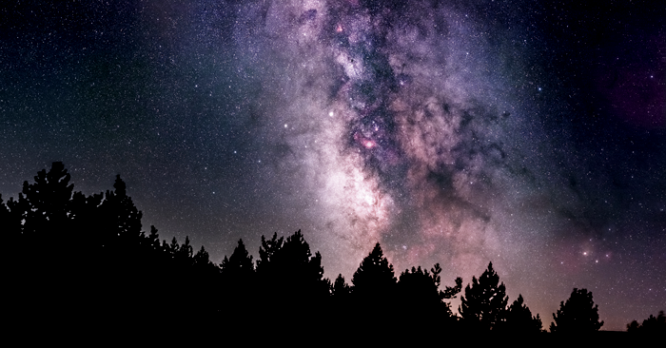 Both French Parks are part of a list of just 13 Dark Sky Reserves across the world. These include the Brecon Beacons National Park and Snowdonia National Park in Wales; Central Idaho in the US; Exmoor National Park in England; Westhavelland in Germany; Aoraki Mackenzie in New Zealand; Mont-Megantic in Quebec; and the NamibRand Nature Reserve in Namibia.